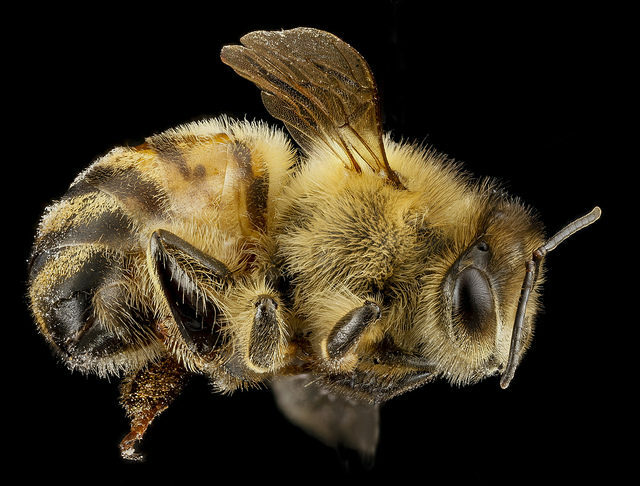 The relationship between almonds and bees is a story of symbiosis in environmental sustainability. Most people think about bees when they drop a spoonful of honey into their tea, but hardly ever when they bite into an almond-laden granola bar. Almond milk, almond candies, almond oil, almond butter and more couldn’t exist without bees. Almonds need bees and bees need almonds. Much in the same way that crops have an intimate relationship with the animals in each of their habitats; sustainability is intrinsic in almond growing. As we’ve come to learn, environmental sustainability is not defined exclusively by resource monitoring practices such as water conservation and soil health. Many varieties of trees and flowers can self-pollinate, but almond trees aren’t one of them. The necessary pollination of almond trees relies exclusively on honey bees who invade almond orchards from February to March and do the hard work, traveling from blossom to blossom. As the Almond Board of California noted on their blog, farmers plant “bee-friendly flowering plants” in the fall before bloom season. This way, bees enjoy the nutrition from other plants before and after almond season. Almonds provide 10 out of 10 essential amino acids that bees require. As a result, almond orchards get to be safe bee habitats. Many of those bees migrate or otherwise travel to pollinate other crops across the country. Almond growers also work with bee-keepers to protect the bees while applying pest control materials that are best for the trees. These pesticides (whether organic or synthetic) ultimately protect the trees from species of mites that destroy trees and effectively ruin habitats for bees. But fieldwork is not where the buck stops for growers. As part of the almond industry’s mission, environmental sustainability continues in labs around the country. As a group, California almond growers have invested over €1.7 million ($2 million) into honey bee health and population rejuvenation efforts. Today, research is under way to turn sugars from the almond’s hull into feed for honey bees, says Mike Curry, board member of the Almond Alliance and a huller and sheller with Johnson Farms in Denair, California. The symbiosis continues with consumers; the combination of honey from the bees and the almonds from the trees make some amazing snacks. Isn’t the life cycle beautiful? To learn more about almonds and bees, check out the Almond Board of California’s blog and website. To read more about crops and habitats, read our piece on ducks and rice fields.